Netflix is committing to theatrical releases, which provides an opportunity to enter movies in the Emmy race without leaving the Oscars behind. One of the consistent slights made against vast streaming behemoth Netflix is that, for the many entertainment options touted on the service, it’s hard to see what’s available. Movies are “dumped” or “buried” in the steady onslaught of content, and no matter what new user interface or search engine Netflix trots out, there’s simply no way to give every deserving movie its own time in the spotlight. In the content crush, there is a ray of hope: With Netflix committing to theatrical releases, it has the chance to draw a line between its films and its movies — aka the films it submits to the Oscars and the movies it could send to the Emmys. This opportunity could result in more awards for the already prolific gold digger, as well as more exposure for its deserving films. What’s changed? Up until now, it seemed like Netflix had to choose one or the other. In order to qualify for the Oscars, films have to be released theatrically, but any sort of “general theatrical release” (meaning a wide release) would eliminate a film from Emmy qualification. Of course, the Oscars don’t require a wide release, and “limited theatrical releases” could still qualify for the Emmys — it’s a small overlapping window, and one that usually doesn’t matter: TV movies typically air on TV first, which disqualifies them from an Oscar run. But this wasn’t really about whether or not Netflix movies could qualify for both Oscars and Emmys. Netflix was fighting the perception that its original films were inferior to typical theatrical releases. If it tried to say some of its movies were TV movies and others were films on the same level as what’s in the cinema, Oscar voters may never have taken Netflix seriously. So to avoid any confusion, Netflix executives wisely decided to push for Oscars over Emmys. Oscars, after all, are more well-known, more widely tracked, and seen in the industry as a higher honor — Netflix wants that level of prestige for its library, and any move inviting extra comparisons to television would only spark more curmudgeonly old men to keep pushing Netflix films out of Hollywood’s inner circle. After Netflix drew the line and argued all their movies were Oscar movies, the only “movies” it submitted to the Emmys were episodes of the anthology series “Black Mirror” — a move that’s been met with awards love from the TV Academy (six wins so far) and ire from rival networks and neutral critics alike. As for the Oscars, the strategy is working there, too. Netflix has six Academy Awards already, and many predicted “Roma” would win Best Picture earlier this year. That Alfonso Cuaron’s black-and-white foreign-language film infamously lost to “Green Book” is arguably only more proof of Netflix’s acceptance; if they can get that movie that close to winning Best Picture, what can they do with a more accessible, populist film? And that leads us to Netflix’s long-awaited opportunity to submit movies to both the Oscars and Emmys: The streaming giant is committing to theatrical rollouts for certain movies. 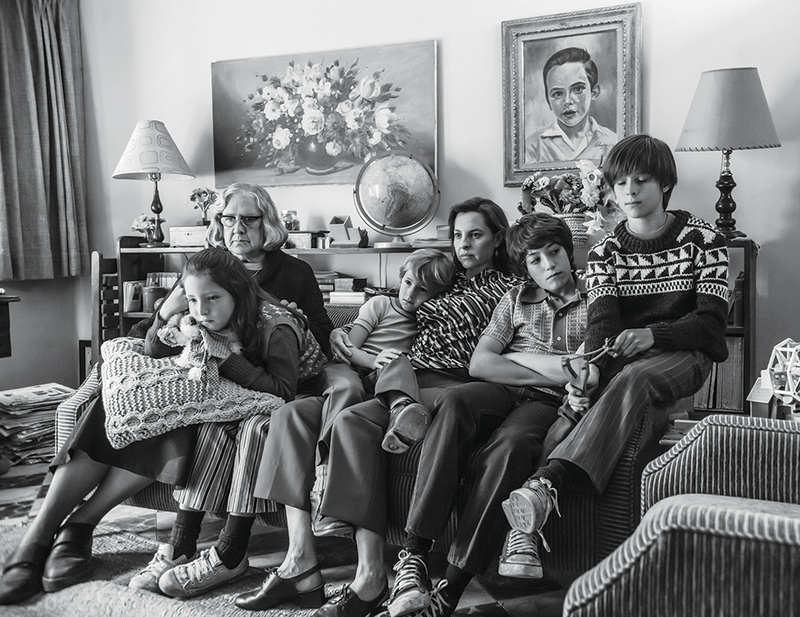 Sure, they’ve been doing it for a while, but the quest to get “Roma” its Oscars saw them make more concessions than many expected, and now the company is in the process of purchasing its own theater in the heart of Hollywood. If the deal goes through, Netflix will program part of what plays at The Egyptian Theatre to go along with its wider, national releases. Netflix can use this to its advantage. If the streaming service establishes theatrical releases as the dividing line between its films and TV movies, it could keep going after more Oscars and start submitting movies (and more of them) to the Emmys. Let’s look at the benefits: For one, many of the films they’re releasing in theaters now have no real shot at the Oscars. “Triple Frontier,” the Ben Affleck-led action flick from J.C. Chandor, has deep ties to “The Treasure of the Sierra Madre,” but lukewarm reviews and an early release date have eliminated it from the Oscar conversation. The same can be said for “The Highwaymen,” starring Oscar winner Kevin Costner and nominee Woody Harrelson. Its rollout at SXSW sparked some excitement, but there’s no indication it will be a serious awards player in 2020. But it could be in 2019. 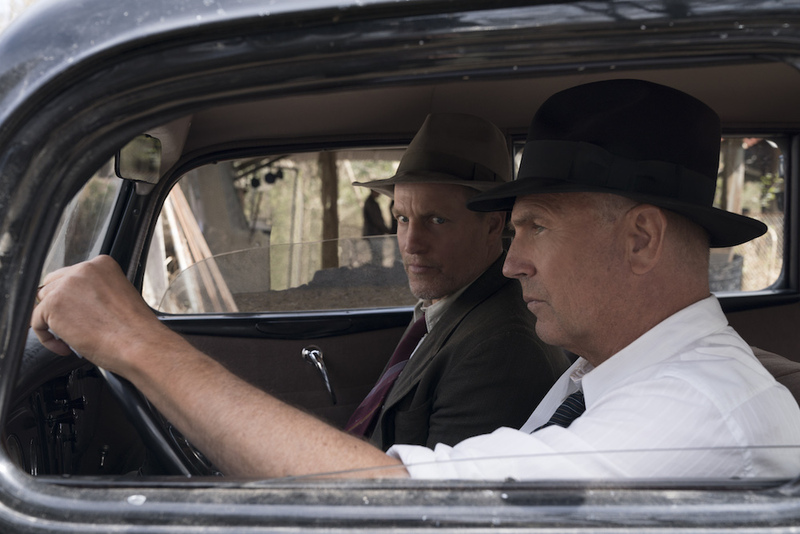 “The Highwaymen” was given a two-week limited theatrical run prior to its March 29 release on Netflix — a choice that doesn’t actually disqualify the film from Emmy contention. Netflix, however, has given no indication it will treat the film any differently than past films. Buzz is already dropping, and the movie seems destined to disappear into the Netflix ether. If it was an Emmy contender, however, there would be many more opportunities to keep talking about the movie: FYC events, exhibitions at the Netflix FYSee event space, interviews with the stars and director, screenings, panels, and all the added publicity a project gets when it’s making an awards run. Emmy season stretches from March through September, which is a long freaking time, and all that time could lead to more views for the movie. That being said, “The Highwaymen” is a pretty big ticket item for Netflix. It got a heap of publicity, big ad buys, and continued promotion, whereas smaller acquisitions — like, say, “High Flying Bird” — could really benefit from an awards campaign. Soderbergh’s latest iPhone movie, along with Mark Duplass and Ray Romano’s “Paddleton” and even Brie Larson’s “Unicorn Store” are the kind of movies that need awards attention to drive viewership. The Emmys provide that, and these movies would be legitimate contenders in the TV Movie category, be it on merit or a lack of other options. Upcoming movies like Zac Efron in “Extremely Wicked, Shockingly Evil and Vile,” the Gina Rodriguez-led “Someone Great,” and even Amy Poehler’s “Wine Country” are hard to imagine at the Oscars, but could fit right in at the Emmys. Plus, having them there won’t hurt “The Irishman’s” odds come fall. Having more movies to submit also means Netflix has better chances of landing acting, directing, writing, and more nominations that it otherwise wouldn’t. In the end, Netflix needs to figure out a way to submit movies at the Emmys. The service is already flooding the zone, submitting in as many categories as it can with as many eligible programs as the Emmys will accept. Netflix is hellbent on dominating both the Film and TV Academies, so if it wants to lock-in as many nominations as possible, and thus as many awards as possible, it has to utilize the programming its audience demands. Movies are growing, and submitting them to the Emmys, Oscars, guilds, and more is one of the easier ways to build a prestigious brand, win over creators, and provide exposure to their work. It may be impossible to give every great movie its due, but instead of getting buried, Netflix has an enviable opportunity to grow.